With so many vape review sites claiming different advantages and disadvantages to the many electronic cigarette products and giving their views on what is the best e cigarette UK company, it is difficult to know who to trust. At the E-Cig Review Site, our values reflect that of our customers. We want you to know what we know. That includes rankings on which electronic cigarette and vape pen products are the best for beginners and which vape products are best for those wanting more advanced vaporizers including the best sub ohm vape products. In addition we publish updated information and research on e cigarettes from a variety of sources including the NHS and The BMJ to ensure our readers are aware of the current views on health issues and smoking cessation relating to vaping. We help you to understand and compare which vape products are the best value and which products are the best for throat hit, vapour production, flavour and nicotine absorption. We cover a huge range of e cigarettes, shisha/vape pens and the best e liquids from all the well known e cigarette manufacturers like Vype e liquid, the Vype eTank Pro, Vype ePen and the Vype eBox reviews to more specialised vape kits like the Kangertech Topbox Mini and V2 Pro Series 3 and 7 reviews. We also have our easy e-Cigarette comparison page if you are short on time or just need quick and simple e cig comparisons to help you choose what vape is best suited to you. This is all aimed at helping you choose the best e cigarette for your needs. Our research has been featured in the Huffington Post, The Times and Engadget to name a few. These publications value our expertise and knowledge in the field of electronic cigarettes. Our goal at the E-Cig Review Site is to provide you with the facts and not confuse you with the fiction. We feel strongly about electronic cigarettes, as we know they have saved us from years of poor health which would have inevitably occurred had we continued to smoke tobacco. Electronic cigarettes saved our lives, as a result, we are the most passionate bunch of vapers around! Feel free to browse the site checking out our reviews and finding out for yourself exactly what we believe are the best electronic cigarette products. Are e cigarettes safer than smoking? The industry is considered still to be very new. This is shown in the general public’s perception of electronic cigarettes which as it stands today, is still below the mark of where it should be. Everyone will know someone who has a suspicion of electronic cigarettes, regardless of the fact that the NHS and the Public Health Education (PHE) have both concluded that vaping is 95% healthier than smoking tobacco. Despite the conclusive evidence backing e-cigarettes, our own research has shown that only 60.2% of the public think that smoking an electronic cigarette can help you to quit smoking. This is despite evidence from the NHS, the PHE and numerous other healthcare institutions all of which state that electronic cigarettes are effective in helping smokers stop. On choosing the right electronic cigarette for yourself, we must remember that everyone has different tastes and opinions. At The E Cig Review Site, we understand that different people want different things. That is why we have reviewed and compared the best quality e cigarette and vape products with the understanding that some of you may be new vapers or that some of you might be looking for something a bit different. This is why we will give you an honest assessment in our e-cigarette reviews at all times. Check out our top three electronic cigarettes reviews below for a quick look at our recommended electronic cigarette products or click the titles to view our comprehensive ejuice, e cigarette, vaporizer and shisha comparison guide. The V2 provides a smooth yet strong throat hit which satisfies even the hardiest of vapours. As a consequence impressive vapour production sets this electronic cigarette out from the rest. A full variety of enjoyable flavours and strengths will satisfy even the fussiest of vapours. The tobacco and menthol flavours are as close as you will get to the real thing, with significantly reduced health risks. Not as strong a hit as the V2 but still a decent strength. 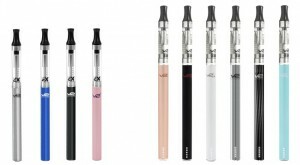 The Jac Vapour was one of the first electronic cigarette companies on the scene in 2010. On the power side the Jac doesn’t pack as a big a punch as the V2, but still gives off a surprising amount of vapour. Jac Vapour offers 8 different flavours all of which with the same high consistency and taste as we expect from such a well-rounded electronic cigarette. Our only issue with the flavours with the Jac is that once the liquid begins to run low you can begin to experience a decline in flavour. Similar to the V2, the Jac offers 4 nicotine levels as well as a nicotine free level. Due to their small, stylish size the Blu e-cigarette would be better suited to the casual or light smoker. Its size prevents any real power that can be expected from some of the better e cigarettes. For its size however it packs a strong punch and shouldn’t be totally disregarded by experienced vapers. They offer six different flavours, 3 tobacco and 3 menthol flavours in the starter pack. Refills include Cherry, Vanilla, NRG and Cinnamon. This isn’t a lot by industry standards as is a weak point for those users who like to experiment. The flavours they do offer taste great although are on the pricier side. The refills for the Blu e-cigarette only offer 6 12 and 18mg nicotine strength which doesn’t help if you want to graduate down to nicotine free. Blu e-cigarettes are a little more expensive than the others. The price, however, reflects the style and finish of this electronic cigarette which is more of a sleek accessory rather than an effective tool to quit smoking. Currently in the process of a re-brand to Vsavi E Juice, Pure E-Liquids take the top spot in our recommendation as the best e-liquid brand on the UK market today. They guarantee quality and clean vaping, both of which they deliver time and time again. One thing that sets Pure E Liquids apart is their transparency with their customers to show them exactly what goes into their liquids. Being prepared in a Grade D GMP clean room intended for medicine shows the intentions of Pure e-Liquids as a brand. PEL also specialise in clean 100% VG e liquid for those with an intolerance to PG e liquid, or if you simply love huge clouds of vapour! A fantastic all-rounder the Pro Series 3 is looking to position itself as the jack of all trades. The design is sleek with a range of colours to choose from. As we have come to expect with V2 products, the price is one of the more reasonable on the market when you consider you can vape e liquid, loose leaf tobacco or dry herb and wax. One clever vaporizer so you don’t need to splash out for anything else. As for its use, the V2 provides an easy snapping, magnetic attachment keeping the simplicity of the product a major importance. It can be used whilst charging and mimics the draw of a cigarette by providing a tighter draw. See our comprehensive V2 Pro 3 Series 3 review. If you are looking for something straight forward with smaller scale that you can use for e liquid and/or wax then the Slim Vapour2 Vape Pen has a high spec 4.2 volt battery and is easy to use and is discrete. With the flexibility of the two different cartridges for wax and e liquid you will not find a better option in this size category. The Ex Series Shisha pen continues in the same vein as previous V2 products by excelling in the market and supplying a solid range of powerful appliances. The Shisha pen is no different with a full range of flavours to choose from and at a strength which emulates that of a Shisha pipe or a Hookah, the more experienced vapours will not be disappointed. ECR is an independent professional vaping comparison site. Our reviews are based upon our experiences testing and analysing vaping products and regularly evaluating other best e cig review sites to ensure we offer current relevant information. We may receive compensation from some of the sites that are listed on this site links; this does not affect the final price of the products you purchase. Thank you!